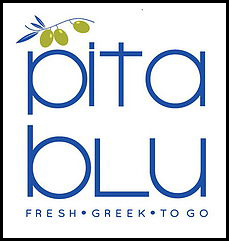 Online ordering menu for Pita Blu. Welcome to Pita Blu! We are locally owned, bringing Greek street food to your neighborhood. We are serving authentic, traditional and tasty flavors of Greece. Our Yeeros are authentically marinated, all our cuts are whole muscle meats, handmade with no additives, no MSG, no preservatives and Gluten Free. More choices on our online menu, Order Online Now for carry out. We are located on West 119th St and Metcalf Ave, near Highway 69 and 435. About ten minutes driving from Johnson County Community College and University of Kansas Edwards Campus.